Monday marked the end of the GNBA season. While the true champions were crowned the day before, there were still some titles to be handed out in the elite, gold, silver, and blue brackets. 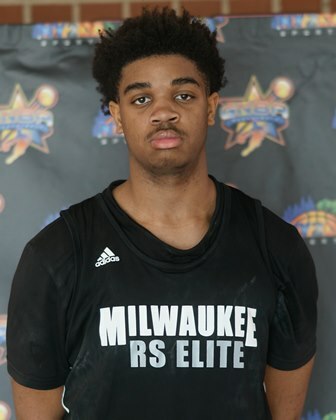 Coming to play on Memorial Day, Tairrion Oliver and Playground Elite won a thrilling game versus Wisconsin United that came down to the wire. Scruggs was on fire in the silver championship game versus the Iowa Barnstormers. On 7-10 shooting, Scruggs scored a game-high 16 points. Scruggs blew past the opposition in transition for easy baskets. He also got it done on the glass, recording a game-high five rebounds. There was no championship on the line Monday between Playground Elite and Wisconsin United, but Oliver was plenty motivated. He came up with a game-high 18 points, leading Playground Elite to a one-point victory. Oliver was 7-14 from the floor and also nailed four three-pointers in a last second victory during semi-final action. Aidan Vanderloo – 8th Grade – Martin Bros.
A savvy guard, Vanderloo ended his GNBA season on a high note. A consistent top performer, Vanderloo went for 17 points in a loss to the Iowa Barnstormers. Vanderloo made two three-pointers and also contributed three rebounds and two assists in Monday’s loss. The talented lead guard had a big day Sunday and he closed out his weekend with a high level 17 point 5 assist 3 rebound 3 steal effort to help his team past the Iowa Barnstormers for the 8th grade bronze championship. White has a nice feel for a young lead guard and Sunday he filled the box score while being active and disruptive in a positive way on both ends of the court. Bowen was dropping dimes all over the floor on Monday. 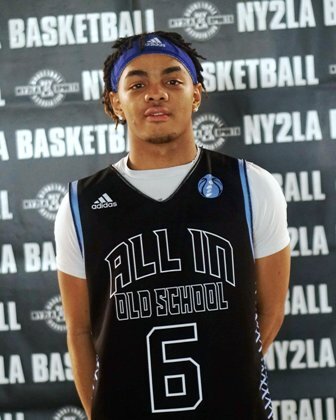 In a one-point win over Wisconsin United, Bowen racked up a game-high eight assists, working his way into the paint and finding teammates on point. Bowen was also in double figures with 10 points on 5-9 shooting and contributed two steals in the victory. Wilson had a double-double in Monday’s loss to Playground Elite. Recording 10 points and 11 rebounds, Wilson got it done on both ends of the floor. The physical forward has an advanced frame for his age and a motor that doesn’t stop. Wilson can stretch the floor a bit and was 4-6 shooting with five offensive rebounds on Monday. Despite shooting 70.4 percent from the field, Minnesota Elite fell in the silver championship to the Milwaukee Spartans. One of the hot hands on Monday included Holloman, who was 4-6 shooting, including two three-pointers. He finished with a team-high 12 points and also had four rebounds, three steals, and two assists in a two-point loss. Terry led the Spartans to a silver championship win over Minnesota Elite. Scoring a game-high 14 points, Terry created for himself nicely off the dribble throughout the game. He also flirted with a double-double, grabbing a game-high rebounds, seven of which came on the offensive end. White nearly put together a double-double in the silver championship. Edging Minnesota Elite 53-51, White contributed 14 points and eight rebounds in the win. In a tight game, White’s offensive rebounding turned the tide. He grabbed six second-chance opportunities, most of which came in the second half.